A nice little salad that makes a change from the usual leaves. Chinese leaves are good eaten raw as well as cooked in stir-fries. 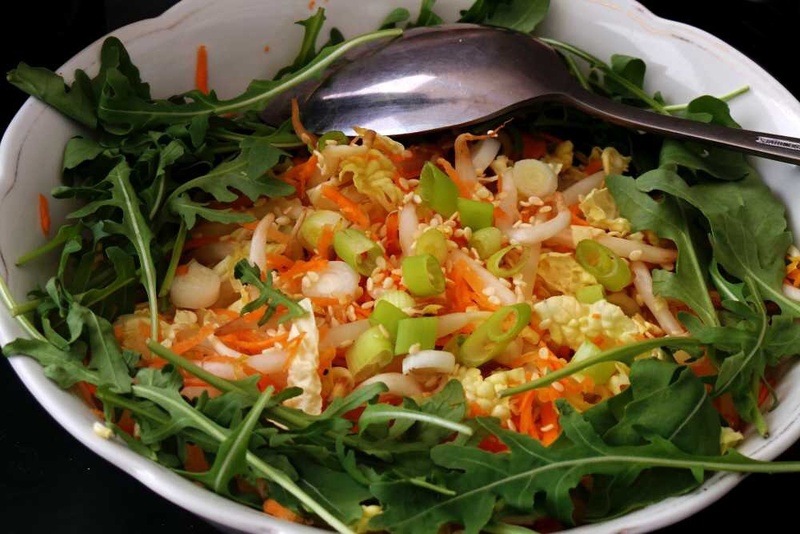 Add some carrots, spring onions and a citrus dressing for a salad with a difference. Half a head of Chinese leaves. Toast the sesame seeds in a small dry frying pan until they begin to toast. Finely slice the Chinese leaves and mix with the carrot & onion. Put the salad into a serving bowl and sprinkle over the sesame seeds. Place all the dressing ingredients in a small screw topped jar and shake like mad. Dress with a small amount of the dressing & serve the remainder separately.